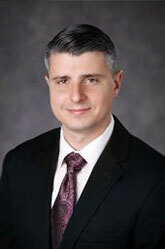 Christopher M. Cropley, CPA is a Manager at Yip Associates and has over ten (10) years of professional experience in the areas of accounting and auditing. His experience includes working with public and private companies within various industries, including construction, manufacturing and distribution, technology and life science, and renewable energy, among several others. Mr. Cropley has several years of experience developing audit risk assessments and implementing work plans designed to identify, mitigate and monitor potential risks. His public and private audit experience includes evaluating internal control design and operating effectiveness based on the criteria established in Internal Control – Integrated Framework (2013) issued by the Committee of Sponsoring Organizations of the Treadway Commission. Mr. Cropley also specializes in researching and making recommendations on technical accounting issues, formulating budgets, executing audit and staffing plans based on client/industry knowledge, and executing timely deliverables. Mr. Cropley graduated from Rider University where he earned a Bachelor of Science in Accounting. Prior to joining Yip Associates, Mr. Cropley was an Audit Manager for the nationally recognized top-ten accounting firm, CohnReznick. Within the Construction Industry Practice at CohnReznick, he was a member of the Firm’s Fiscal and Integrity Monitoring Group, which focused on reconstructing and monitoring all financial activities associated with major capital construction projects and within Federal and State funded programs. On these assignments, he took a lead role in assessing and testing all key financial controls, including the requisitioning, payroll, vendor invoicing, payment and change order processes as well as analyzing compliance with established policies, procedures and contractual agreements. Mr. Cropley has worked on major integrity monitoring engagements for the State of New Jersey, Department of Community Affairs/Sandy Recovery Division (DCA/SRD). He also worked with the New York City Department of Investigation during the demolition and cleanup efforts at Ground Zero, and the Port Authority of New York and New Jersey during the construction of the new World Trade Center Transportation Hub. Certified Public Accountant, State of New Jersey.